I had another wonderful week! I always do! That is a given when you really understand the gospel. I have been saying to a lot of people lately that one of my favorite things about being a mormon is that you always have an excuse to be happy. So very true! One reason I love being a missionary is that we are endlessly given incredible ways to serve people! One friday we were driving to contact a less active member and I felt that we should take a different way than normal. It was for no particular reason and it was about the same travel time, but we did nevertheless. As we were driving down the road, traffic was unusually heavy. Finally we discovered the reason, a guys car had broken down in the middle of the road. We pulled over and offered to push into the near by parking lot, but he said that his battery was dead and for some reason he couldn’t put it in neutral. Our elders quorum president lived just down the road so we told him that we would run to a friend of ours house and we would grab some jumper cables. We sped on back and found him in the parking lot, apparently he got it in neutral and someone pushed him but he still needed a jump so pulled right on up. After trying our best it was very apparent that he needed a new battery. We helped him acquire a new one and in the meantime we got to get to know this good brother better. His name is Khanh and he just came from the pan-handle to be here in Jacksonville with his high school sweet heart. He hadn’t found a church yet that he liked and after hearing a little bit about ours he said that he would be interested in checking it out sometime. It was a really awesome chance to serve and in total we were with him for about an hour. He really considered us a big help because his girlfriends car is in the shop and so he was literally stranded. Even if he never comes to the church, I am so happy we got the chance to serve and to spread some of the spirit of christmas! I also found out that I will be staying with my companion for another transfer, which will be really awesome! I have thoroughly enjoyed the time I have been able to spend with Elder Layton, he is an incredible person who has taught me so much about missionary work and just about life in general. He is one who has really come to understand the atonement in his life and his ability to love people is amazing. I have been to learn from him how to really help someone change their life. Because of his incredible ability he has helped a recent convert literally transform her life. I am so grateful for all the opportunities I have had to learn from him, and the experiences that we have shared, with many more left! I am so grateful for this beautiful gospel and the many ways that it richly blesses our lives. I know that it is the only way to true joy and happiness in this life and I want nothing more than to share it with the whole human race! As for now I am taking it to one person at a time. 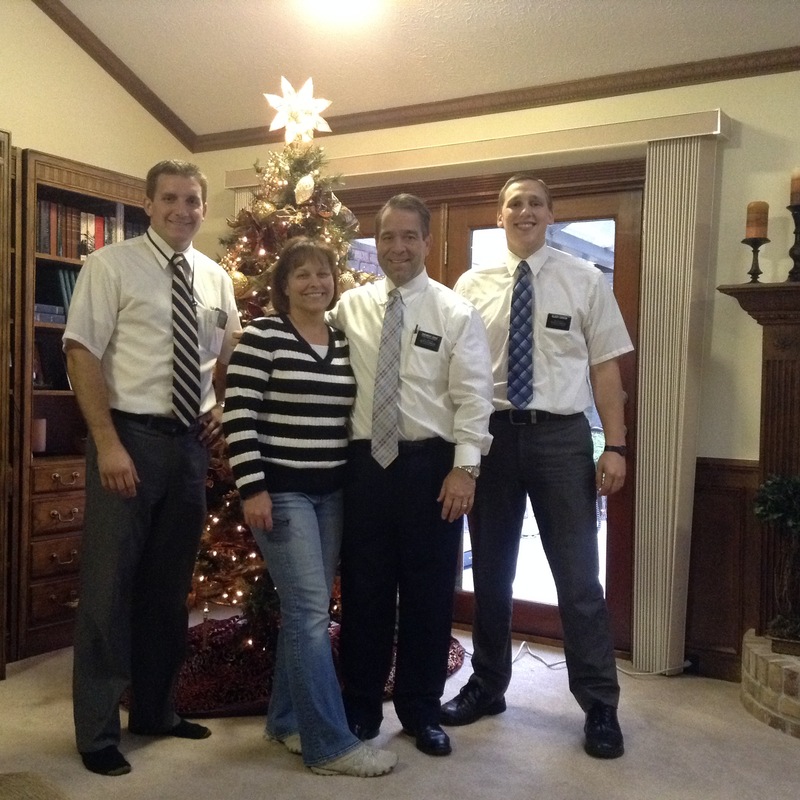 This entry was posted in Joshua and tagged Batteries, Best Friends, elder layton, Gratitude, LDS, member, merry christmas, Missionary, Mormon by shalesecordon9. Bookmark the permalink.